Stanley Black & Decker (NYSE: SWK), New Britain, CT, has acquired WinWare, Inc. (“WinWare”). Based in Marietta, Georgia, WinWare provides enterprise-wide inventory management software and hardware systems that manage tools and other indirect material in the industrial workplace. 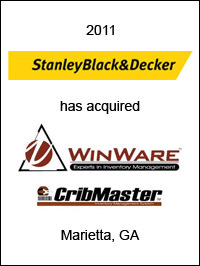 Stanley Black and Decker acquired WinWare as a part of a strategic growth plan for multiple Stanley Black and Decker brands utilizing WinWare’s CribMaster technology solutions to deliver unified systems, with tools, storage and inventory management to clients worldwide. 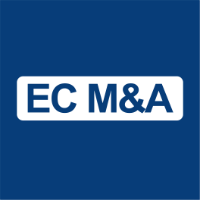 EC Mergers & Acquisitions acted as exclusive financial advisor to Stanley Black & Decker on this transaction.